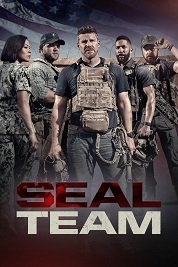 Actori: David Boreanaz, Max Thieriot, Jessica Paré, Neil Brown Jr.
Info The lives of the elite Navy S.E.A.L.s as they train, plan and execute the most dangerous, high-stakes missions our country can ask. Comentariu: Sezonul 2, Ep. 1-17 (Sincronizari ruby2hora).